Sergio Perez (MEX) T-Sport. British Formula 3 Championship, Rd3, Bucharest, Romania, 18-20 May 2007. Sergio Perez (MEX) A1 Team Mexico. A1GP 2006-07, Rd4, Practice Day, Sepang, Malaysia, 24 November 2006. Sergio Perez (MEX) Barwa Addax Team. GP2 Series, Rd 2, Qualifying Day, Monte-Carlo, Monaco, Thursday 13 May 2010. Sergio Perez (MEX) BMW Sauber C29. Formula One Young Driver Test, Yas Marina Circuit, Abu Dhabi, UAE, Wednesday 17 November 2010. Sergio Perez (MEX) Sauber C30. Formula One World Championship, Rd 19, Brazilian Grand Prix, Qualifying Day, Interlagos, Sao Paulo, Brazil, Saturday 26 November 2011. Sergio Perez, Sauber, Formula One World Championship, Rd2, Malaysian Grand Prix, Race, Sepang, Malaysia, Sunday 25 March 2012. Sergio Perez, Force India, Formula One World Championship, Rd13, Italian Grand Prix, Monza, Italy, Practice, Friday 5 September 2014. He’s the fighter with a gentle touch from the land of the Lucha Libre. Perez’s reputation in F1 has been built on opposite approaches to Grand Prix racing. On the one hand, he is a punchy combatant who wrestles his way through the pack and into the points. Never afraid to add a bit of spice to his on-track encounters, even his team mates don’t always escape the Mexican’s heat. Then on the other hand, Perez is a smooth operator, a master at managing tyres to eke out extra performance and give him the upper hand on strategy. A firm favourite on the grid after spells with Sauber and Force India, Perez has matured into an analytical racer and team leader. A proud countryman, the Guadalajara gunslinger has amassed more points than any other Mexican in the history of F1. 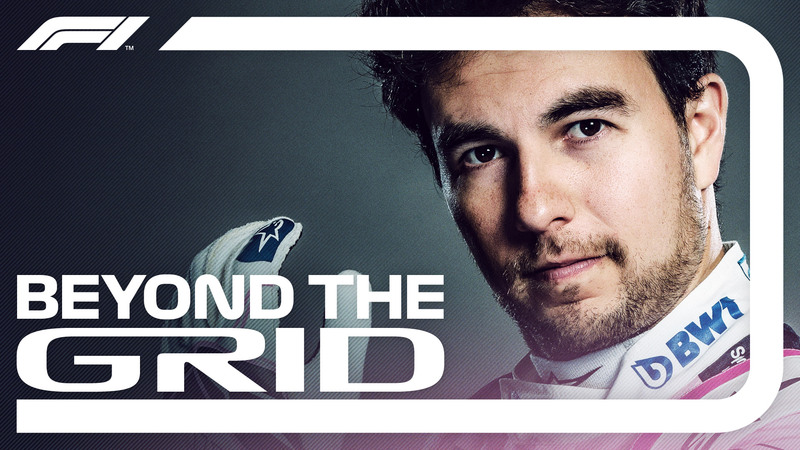 But Perez is yet to match his hero Pedro Rodriguez and take the chequered flag in first. After a spell with McLaren and links to Ferrari, Perez’s hopes of driving for a winning team rest with Racing Point for 2019. Victories may not be assured. Perez working hard and racing with his heart are. Sergio Perez (MEX) Force India VJM07 at Formula One Testing, Day Four, Barcelona, Spain, 1 March 2015.